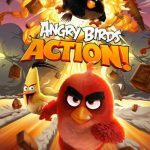 Angry Birds Transformers is the latest in a series of “crossover” titles from Rovio that put the game’s titular Angry Birds in settings inspired by popular movies, e.g. Star Wars. This time around, though, the Angry Birds are now Transformers, Autobots to be exact, with the piggies playing the role of the evil Decepticons. 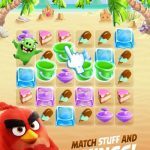 While gameplay is still, in essence, similar to classic Angry Birds as we know and love it, there are enough new twists to keep longtime fans of the series entertained and surprised, and with that having been said, here are seven Angry Birds Transformers cheats, tips and strategies you’ll want to remember when trying to complete and/or unlock more levels in the game. 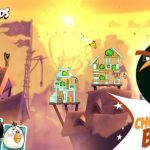 Like all other Angry Birds titles, your Birds will be at their best and most destructive when you aim them at the weakest spot of a certain structure. In this case, you’ll want to keep things simple by aiming for the glass or wood parts of a structure, as well as TNT crates, which can do a whole lot of damage when they explode. While it may be a no-brainer to see Optimus Prime as the mightiest Angry Birds/Transformers crossover, he actually has some weaknesses – poor shooting, as a contrast to his quickness. Each character has their own sets of strengths and weaknesses, and you’ll need to familiarize yourself with these in order to properly strategize. It may look like a “highlight reel” moment if you send a large structure crashing down, but you’ll also want to aim at the pigs. They are, after all, the antagonists of almost every Angry Birds title, and they’ll do what they could to make things difficult for your Angry Birds/Transformers. You’ll have to check up on your characters’ health from time to time, and if your Transformers aren’t 100 percent healthy at any given time, you may want to sit out a mission for the meantime in order to recharge. Looking to get yourself more coins in Angry Birds Transformers? It’s all very simple – all you have to do is shoot at everything you could, may it be structures, pigs, or floating objects. Each of these items will give you more coins in the game, but in particular, you’ll want to aim at the Golden Boxes, as they come with more coins than the usual targets. If you know when to bring a partner in, which would usually be when missions get a bit too daunting in terms of pigs and structures, then you should be on the right track. You also want partners with high levels, which would be great if you’re up against a horde of enemies or intimidating structures. Don’t go for the first mission doubler you see available. 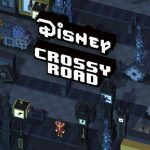 It’s wiser to wait until you’ve got some tempting rewards in a certain mission before trying to double those rewards.